For some people, there is a natural inclination to help another person when he or she is in distress, even if that person is a complete stranger. This kind of admirable behavior can lead to a life being saved, injuries being reduced, or even a tragedy being avoided altogether. However, in what seems like an unfair karmic twist, sometimes those who are striving to help others end up becoming victims themselves. And sadly, sometimes these Good Samaritans can end up in a worse predicament than the those that they were originally trying to help. The Tampa Bay Reporter recently asserted that a Good Samaritan has been killed in an I-75 crash after he reportedly stopped to extricate an intoxicated driver from the wreckage of a crashed car. In a tragic and unexpected turn of events, the man was fatally injured when he was struck by another driver after moving the intoxicated man to safety and administering medical care. Is it Possible to Stay Safe While Helping Others? Always call 9-1-1. You should never assume that another person has already summoned authorities to the scene no matter how long ago the accident occurred. Assess your clothing. Realistically consider how reflective or highly visible the clothing that you are wearing is and how easily other drivers will be able to see you. Take a look at the scene of the accident from a distance. While you may feel bad for not being up close and personal, one of the safest positions to observe from is at a distance. Make sure that you assess the scene of an accident before you ever attempt to enter it. Park as far as possible away from the crash. Even if the scene looks safe, you cannot predict whether one of the vehicles will explode nor what else will happen next. Help others with caution. You should understand that your health and safety have to come first before anyone else’s. That means that even if you see someone else who is clearly injured, you should assess whether you can help that person without putting yourself in danger before you attempt to approach him or her. Is There Danger of Incurring Civil Liability as a Good Samaritan? Fortunately, you don’t really have to worry about this possibility because of Florida’s Good Samaritan Act which is intended to help encourage people to assist others in emergency situations. Under this Act, anyone who helps another person by administering emergency care or treatment in good faith will not be liable for civil damages resulting from such care where the person acts reasonably assuming the victim of the accident does not object. Have You Been Injured While Attempting to Act as a Good Samaritan? Even when you have the best of intentions, you can still tragically be injured as the result of a negligent driver. 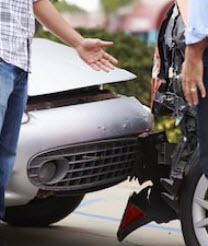 The Florida car accident attorneys at Leifer Law Firm have helped many injured victims in situations like yours during their 25 years of combined experience. Contact us today for help and we can begin helping you pursue the compensation you deserve.